Agency requested backpacks from the program have risen 16% from 2017, going from 1326 to 1534. Local agencies, review their client lists and send the United Way a bulk request for supplies. This enables us to plan for the large numbers and have a distribution system to get the backpacks to the children. The community approach is direct from the families themselves. Either through word of mouth or the media, families learn of the program and call 211 to be placed on the list. The United Way focuses on the agencies for July and the community requests in August. “We are seeing an increase in the younger grades, 23% specific to the primary grades” Dobbyn adds. The United Way is deeply concerned that the program is indicating an increase in local child poverty rates as the population of children is declining in the region, but more of those children are being raised in poverty. To support the program donations can be made online at www.donatetoday.ca, by phone at 519 376 1560 or by mail or in person at 380 9th street East Owen Sound. Families seeking support from the program should call 211 as soon as possible to ensure delivery prior to the start of school. Every child has a backpack — every backpack has a child is the cornerstone philosophy behind the United Way’s annual Backpack Program. The United Way wants school to be a positive experience for all children, regardless of their economic situation. By providing school supplies to low income children, the United Way is providing the tools needed to start off the year on the right foot. 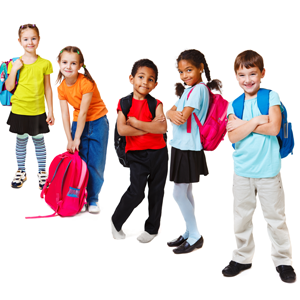 Since 2005 the United Way has distributed over 21 000 backpacks throughout Bruce and Grey Counties. The United Way creates the backpacks on two factors; gender and grade level. Boys do not get pink or purple unless they request it, and girls can avoid pink and purple if they request it. Four grade levels are created to ensure that the right supplies are provided for the right age group.